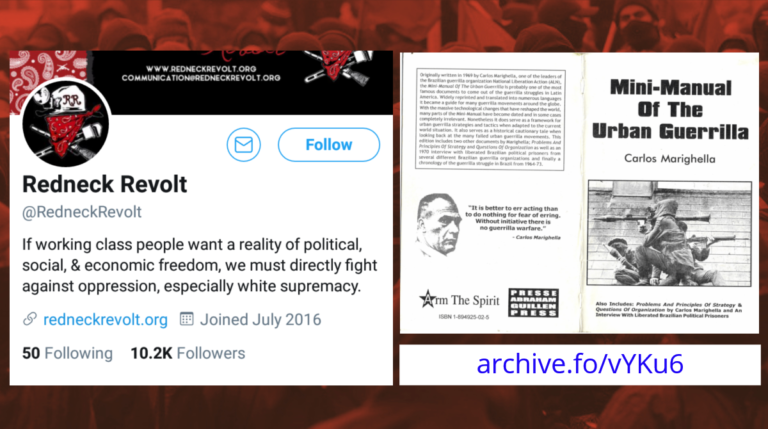 While social media companies collude to silence right-of-center influencers, violent far-left extremist groups appear to be given a pass. 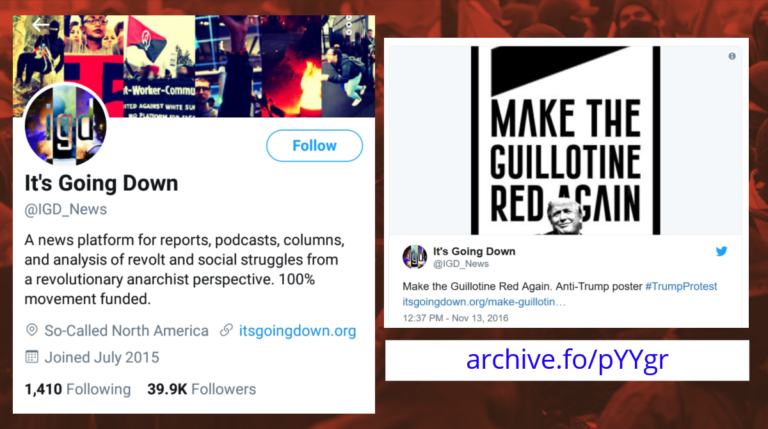 This NYC based antifa group has been using their “leftist privilege” to freely violate Twitter and Facebook Terms of Service. In another glaring example of “non existent social media bias”, this extremist group is apparently allowed to use their social media account to advocate for murder. 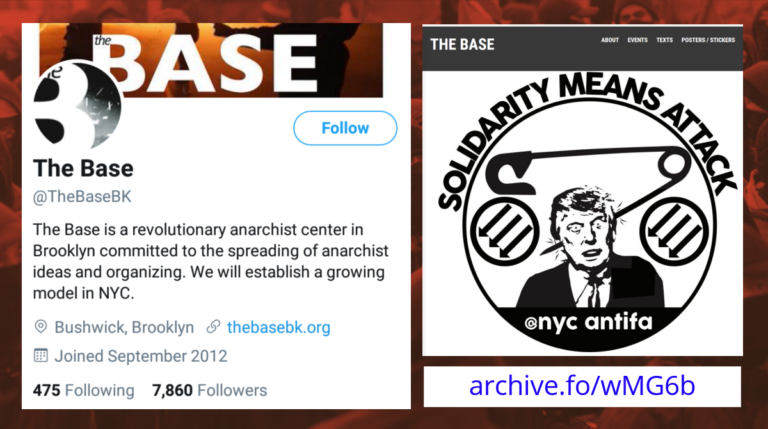 The Base is a NYC based “anarchist center” that is run by the Revolutionary Abolitionist Movement, a violent extremist group that we have covered extensively. The extremist group is currently offering downloadable poster and stickers that include images of guns and other calls to violence but the most concerning was an image that depicted the murder of President Donald Trump. Advocating for the murder of your political opposition is very prevalent in far-left circles. 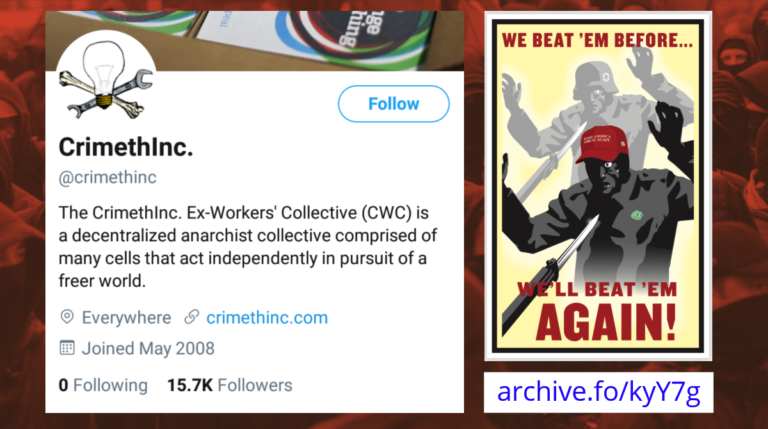 Another prominent antifa website, It’s Going Down, is also currently using Twitter and Facebook to distribute a poster that depicts the murder of President Trump. We published a detailed report about this poster almost a year ago and have reported this tweet to Twitter multiple times but it is still live and the extremist group that created it is still free to recruit and radicalize new members on both Twitter and Facebook. 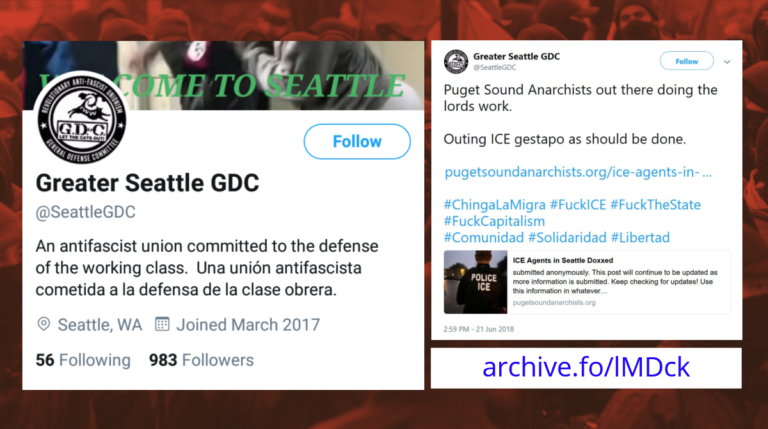 In this example, a Seattle antifa group is using their Twitter account to distribute the personal information of ICE agents as well as their family members. Just like other Tweets we have referenced in this report, this one is still live even though we have reported it to Twitter multiple time. Why is this important? Firstly, it demonstrates the institutional bias of the giant tech companies that allow these accounts to actively violate their Terms of Service. And secondly, far-left extremist are escalating their violence. Just over the last seven days a GOP office was attacked by an arsonist, there was an assassination attempt of a GOP candidate, and a Democratic Socialist threatened to carry out a mass shooting against Trump supporters in D.C. These violent attacks are the predictable outcome of a media-industrial complex that constantly misrepresents the facts and gaslights Trump and his supporters as “fascists”. “racists”, “bigots”, etc.